I have a ton of F4 Polishes to show you in the next few weeks, so this is the first of many. The girls who run this Etsy shop are really the sweetest and very professional. Like them on Facebook to find the latest news and swatches. I have Grape Escape on today..and decided to show it to you two different ways. It's just gorgeous on it's own, opaque in 3 coats, and just so pretty as a top coat! Really loving Grape Escape over this lavender, Sugar Plum from Ciate. From their description: "GRAPE ESCAPE is a clear base with purple fine glitters , purple holo glitters , purple square glitters and purple satin matte hex glitters." Those "purple satin matte" hexes are light purple and such a nice unexpected addition, making this not your typical purple glitter. Really pretty!! Ciate Sugar Plum, 3 thin coats. Grape Escape has no issues with application or formula. No fishing for glitters either. I used the brush from the bottle to do this. A second look with Grape Escape over SpaRitual Heliotrope. Heliotrope. Perfect in 2 coats. In this macro shot, it seems I could have used 3 coats, but in real life..it looks great with only 2 coats. I dotted with a dotting tool and Grape Escape and topped this off with my usual Seche Vite and had a hard time getting a good angle that wasn't TOO SHINY. I wanted to show the sparkle dots, but it didn't translate to the photos as well as in real life. Grape Escape will fill any purple glitter lovers dreams :) Which look do you like better? *This mini bottle was sent to me for my honest review. As always, my loyalties are with my readers! OH! You are a master at this! 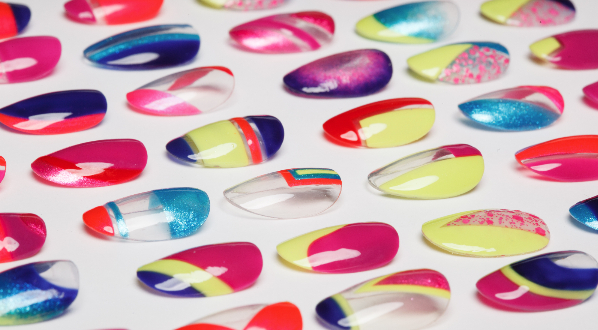 I love how it looks like it is dripping down your nails in the Ciate one! And I love the dots on the other one! I am so glad you're reviewing F4! 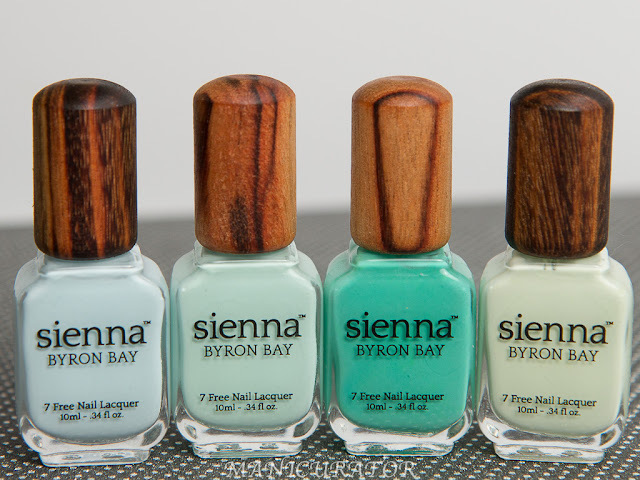 I have been wondering about their polishes! Don't you just LOVE F4? I love their polishes and those three ladies are just, ah! They're such sweethearts! 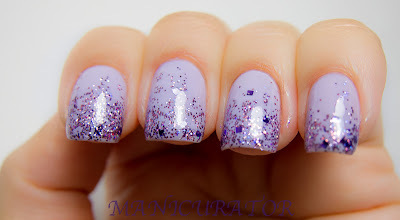 I love Grape Escape over Heliotrope, it almost disappears but then you look at it again and glitter! I haven't seen glitters dotted like that before, so pretty! This looks fabulous. Love it. They both look gorgeous! 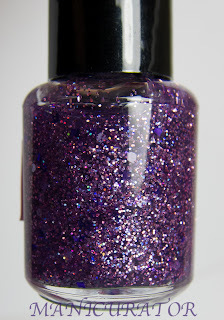 I am in love with Grape Escape over Sugar Plum! OoO I really like this one. Love these. That purple creme is stunning! Gorgeous! I do love me some purple. Great swatches and mani. The both are so pretty! But the light purple on is my fav! I can't tell you how many times Iv'e come to your blog today to see this post! It's stunning! Beautiful, just perfect! My all time favorite colour combo looking absolutely exquisite! I feel a big lemming coming on! Am jealous that you get your camera to photograph purples correctly! So very pretty-I love those Ciate bottles! What a great idea to use the dotting tool with the Grape Escape! Love that!! Such a pretty shade of purple. BTW, just found your blog, love it! These are stunning! 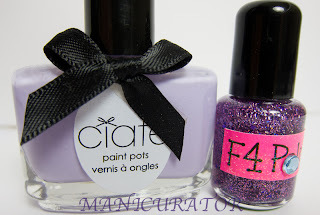 I just got some F4 polishes last week an they are gorgeous!